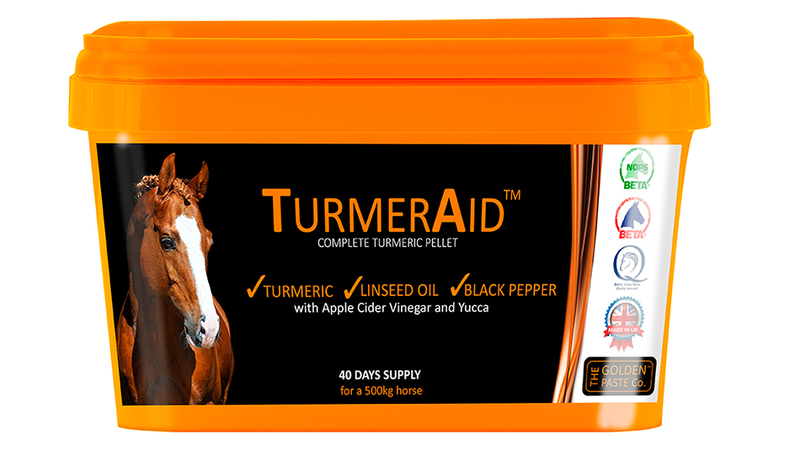 The Golden Paste Company’s award winning TumerAid supplement packaging has had a makeover. The new, bright packaging will ensure the product is more easily identifiable on retailer’s shelves. The new 2kg TumerAid pellet tubs are now vibrant orange and follow the company’s distinctive branding, allowing both retailers and customers a more easily recognisable product. The new tubs also fit with the company’s overhauled environmental policy ensuring packaging is both recyclable and reusable.